An international team of researchers has successfully tested a new type of porous material that can be used for the efficient delivery of key molecules to transplanted cells derived from stem cells. These results may one day lead to improvements in the way stem cell-based neurodegenerative diseases are treated. The researchers, based in Sweden, Denmark and Japan, have developed a novel technological approach for the local delivery of exogenous trophic factor mimetics to transplanted cells using specifically designed silica nanoporous particles. 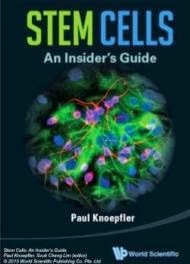 This is potentially a versatile and widely applicable strategy for the efficient differentiation and functional integration of stem cell derivatives upon transplantation, and it can serve as a foundation for improving stem cell-based neuroregenerative protocols, for instance Parkinson's disease. "We are working to provide standard and reproducible methods for the differentiation and implementation of Stem Cell therapies using this type of approach, which couples material science with regenerative medicine," said Dr. Alfonso Garcia-Bennett, one of the leading authors of the study currently working at the Department of Materials and Environmental Chemistry, Stockholm University. "We demonstrated that delivering key molecules for the differentiation of stem cells in vivo with these particles enabled not only robust functional differentiation of motor neurons from transplanted embryonic stem cells but also improves their long-term survival," said Elena Kozlova, co-director of the study and Associated Professor at the Department of Neuroscience, Uppsala University. The researchers are currently working together with two companies in order to speed up the process of commercialising their innovative approach in the form of a standard differentiation kit that will allow other scientists and clinicians to reproduce their work in their own laboratories.